Need a van for towing? 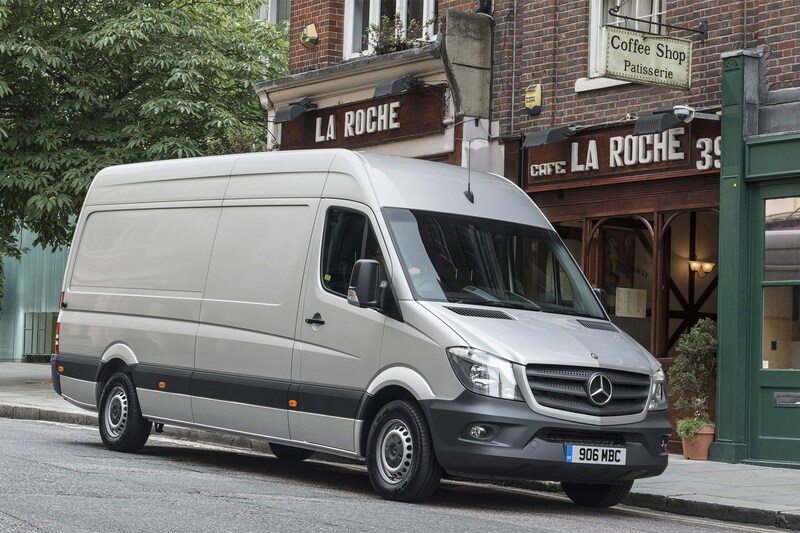 Then you’re best choosing a large van, as they typically have higher maximum rear axle weights and greater towing capacity – in some cases up to 3.5 tonnes. But you still need to pick carefully, as the difference in towing ability can vary by up to 1.5 tonnes between rival models. 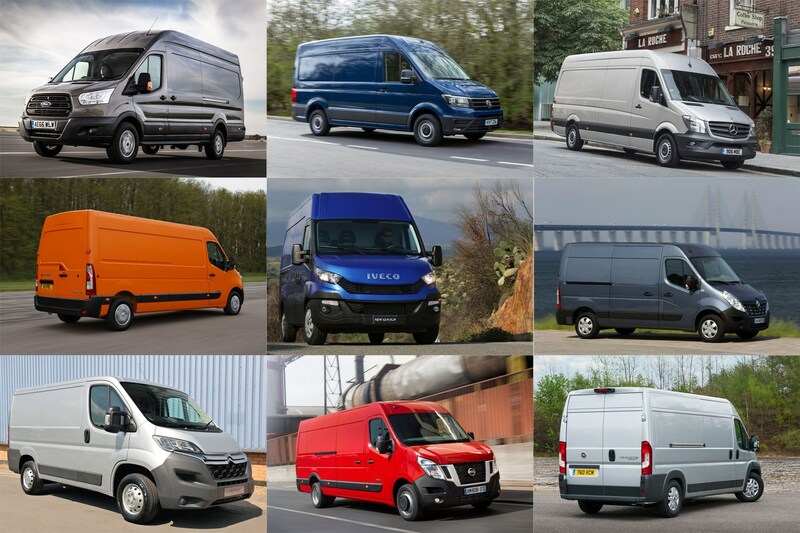 To help you choose, we’ve compared all the major large vans on sale in the UK to find the best tow van. All towing limits quoted are for models with a maximum 3.5-tonne gross vehicle weight (3.5t GVW), the heaviest you can drive on a regular car licence. Do you need a special licence to tow with a van? Not specifically, but if you got your driving licence after 1 January 1997 the amount you can legally tow without taking a special car and trailer driving test (known as the B+E licence) is lower than those with licences issued before 1 January 1997. You can read more about the licensing issue on the car side of Parkers by clicking here. Note that commercial operators towing 3.5 tonnes will need a tachograph fitted. Also remember that the amount of payload you can legally carry while towing to the max is governed by the van’s gross train weight (GTW) figure. So you may find your in-van payload is more restricted than when you’re not towing. The very best choices here account for this, however. You can find the GTW on the vehicle’s weight plate, usually located under the bonnet or in one of the door openings. 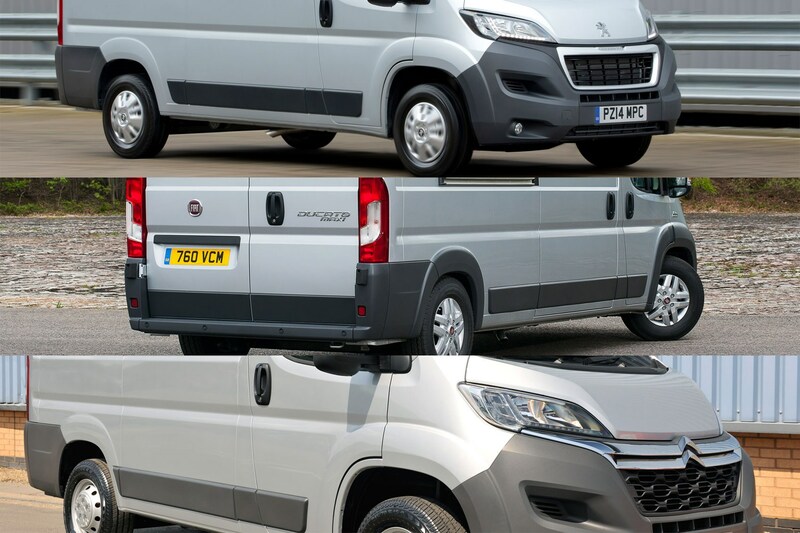 Since the Relay, Ducato and Boxer are all essentially the same vehicle, it’s hardly a surprise they’re rated to tow the same amount, which varies from 2,500kg to 3,000kg when it comes to available 3.5t offerings. What sets them apart from the Crafter are their class-leading fuel economy and payload figures, which should make your towing operation as efficient as possible. 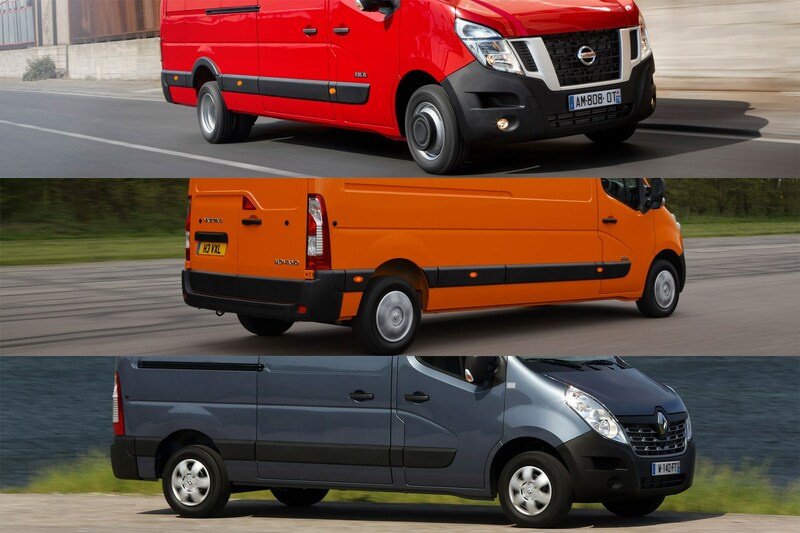 Regular 3.5t versions of the Master, Movano and NV400 triplets also fit into the 2,500-3,000kg category. But you can also specify rear-wheel drive versions with a heavy-duty twin-wheel rear axle that raises their towing performance to 3,500kg. 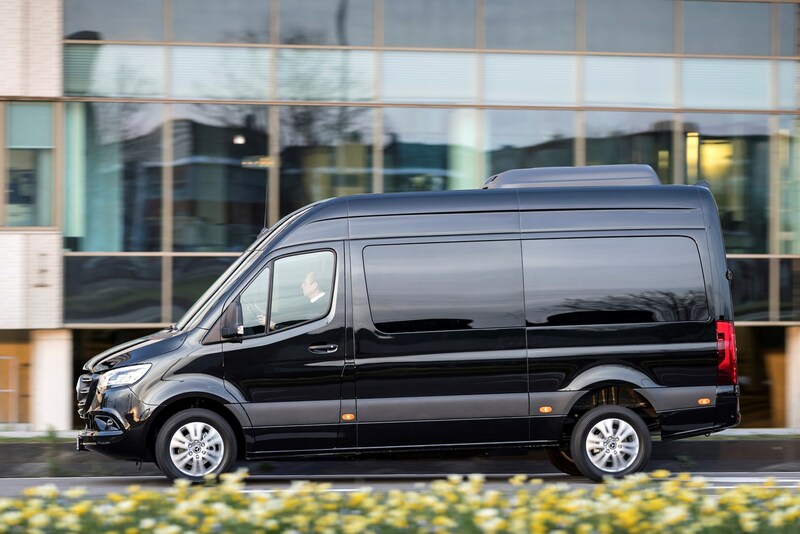 Basic versions of the Mercedes-Benz Sprinter – if you can ever say such a thing about such a premium-quality van – tow 2,000kg across the board. However, you can spec a Reinforced Trailer Coupling that boosts this to 3,500kg. 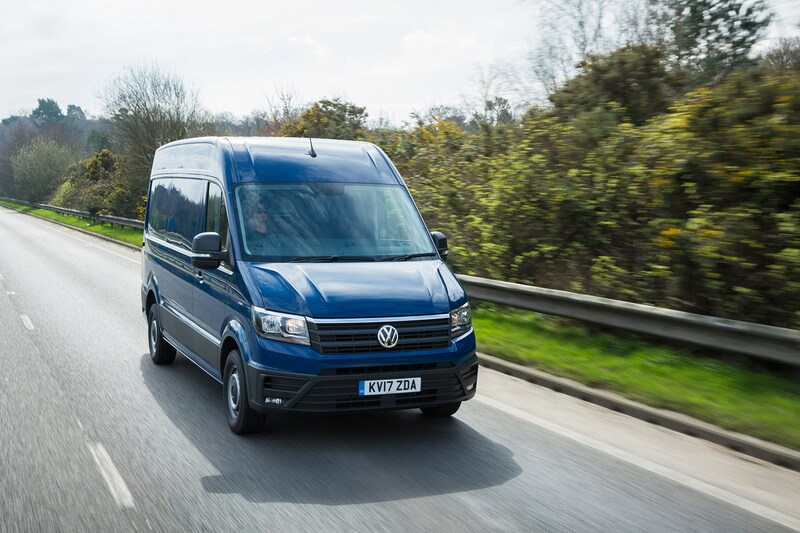 The front-wheel drive VW Crafter range will tow between 2,500kg (102hp) and 3,000kg (140hp and 177hp), but the rear-wheel drive models push this to 3,500kg. It is also worth noting the optional Trailer Assist system, which practically turns parking and reversing with a trailer in to a point-and-shoot doddle. This isn’t the cheapest option, at £795 (not including VAT) but it could save a whole lot more than that in avoided damage if reversing is a challenge. 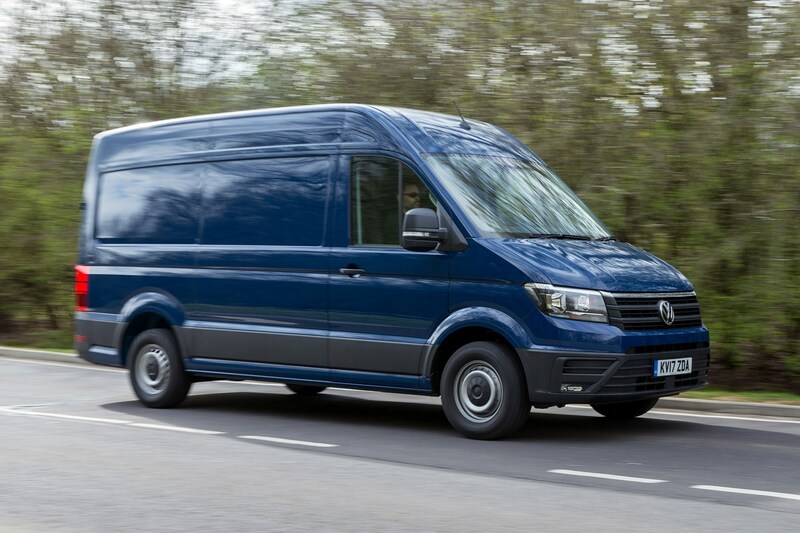 Almost every mention of the MAN TGE seemingly comes with the clarification that it is essentially the same van as the VW Crafter. With this in mind, it will be no surprise that the TGE matches the Crafter’s towing ability and offers the same tech. The FWD models can tow 2,500kg to 3,000kg, depending on the model you go for, the 4x4 versions can manage 3,000kg, but the RWD are the real workhorses, being able to tow 3,500kg. 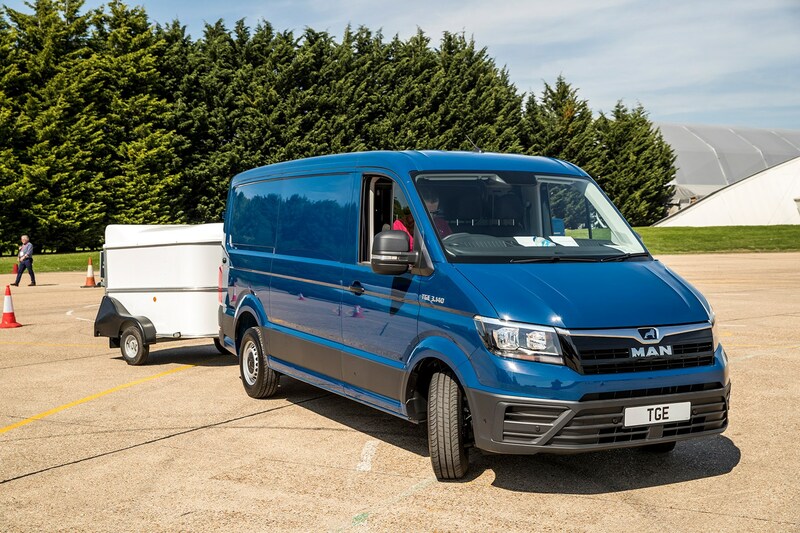 The Trailer Assist tech is also available on the MAN, and is marginally cheaper than it is on the VW Crafter, but still a notable £720 (plus VAT). 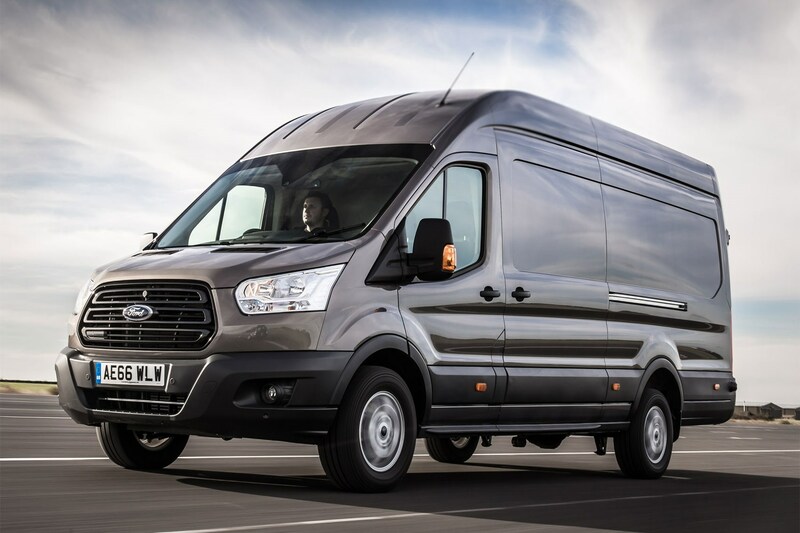 Heavy Duty (HD) rear-wheel drive versions of the 3.5t Ford Transit can now tow up to 3,600kg – which is very impressive. However, maximum payload for said HD models is not especially great at just 969kg, and the gross train weight is 6,300kg max. The Daily is basically a monster. 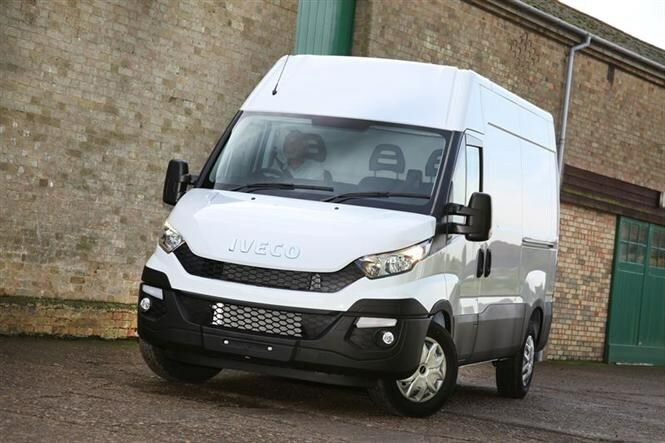 The only van still sold that’s built with a ladder frame chassis, it’s got more in common with light trucks than the other vans here – indeed, some versions now go up to a GVW of 7.2 tonnes, more than double the weight of vehicle you can drive on a regular car licence. All 3.5t GVW versions can tow 3,500kg. More impressively, they all also have 7.0-tonne gross train weight figures. Which means you can fully load both van and trailer, and still drive legally. 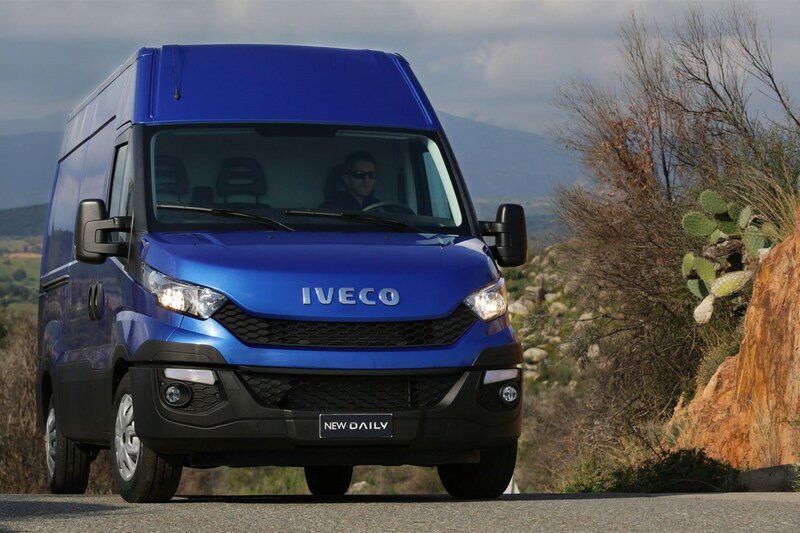 The Iveco Daily is the best van for towing.